Are you looking for things to do in Fresno, CA with a group of your friends? Join us at Xcape Room Fresno and see if you have what it takes to solve the mystery! Are you looking for something to do this weekend? Or just looking for fun places to hang out in Fresno? We offer a great experience through our mystery filled hour of problem solving and team building. Gather a group of your friends and see if you have what it takes to solve the mystery. You have one hour to gather clues and unlock the final piece of the puzzle. There are currently 5 rooms open, "The Murder Scene 2.0,” “Fresno Has Fallen (Also a racing room),” “Spy Room” and “The Temple Room". We are located on 3475 W Shaw Avenue Suite 103, Fresno, CA 93711. Check out all of our amazing Facebook reviews to see what everyone else had to say about their Xcape Room Fresno experience. Fresno is a great place to live but it lacks one big thing, good entertainment. Xcape Room Fresno offers a great experience for individuals or large groups looking for fun things to do in Fresno CA. If you are by yourself we will find you a group to play with. Our service is both entertaining and very beneficial in the form of team building. Solving the mystery helps build communication skills, critical thinking skills, and problem solving as an individual or part of a team. We are busiest on the weekends so try booking times during the week to avoid the crowds! If you would like to arrange a private time then please feel free to contact us, there is probably something we can work out! Now get your mystery solving pants on and hop in the mystery machine. There are mysteries to solve! Special arrangements can be made for groups looking for things to do in Fresno outside of our normal business hours. King Kuhli could bare no children. He feared his family treasure would go to an undeserving heir. He had this temple built to hide and protect his family treasure. He designed the Temple of Scion to be inescapable unless the treasure was found. That way, only he could enter and leave, and all others would be doomed. Countless thieves and explorers have entered the temple, but none have ever returned. Can your team of explorers figure out the secrets of King Kuhli's Temple of Scion and find the treasure to xcape? Greetings agents, you are here because our outpost has been compromised by a double agent, and it is your job to catch him! The man we suspect of committing the treason is named Thomas Barrett. 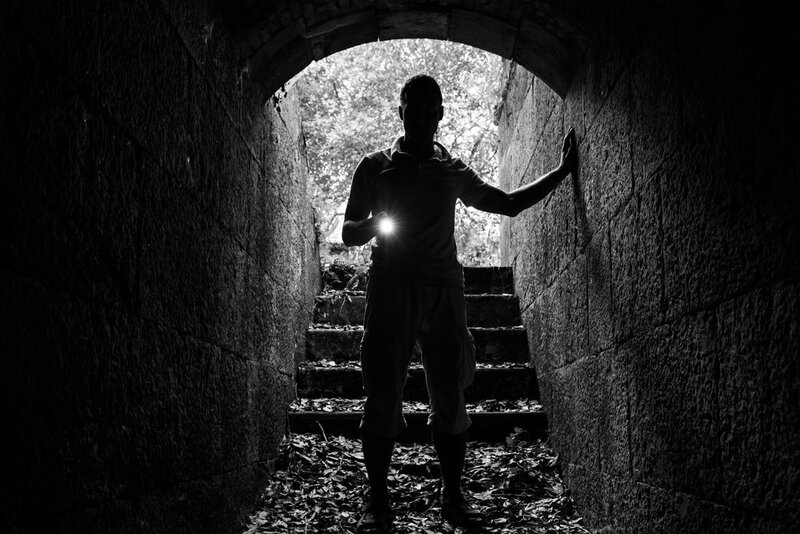 We have sent your team to investigate a recently discovered hidden basement located near his property. You have a time window of sixty minutes before he returns. Good Luck! Detectives, are you ready for a challenge? The suspect's name is Elizabeth Short, and she has been linked to multiple homicides including the disappearance of fellow detective Mary O'Neil. The FBI has profiled her as one of the worst psychopaths in history, and all they know is that she loves playing games. Can you and your best detectives solve her riddles and games, to discover the truth?